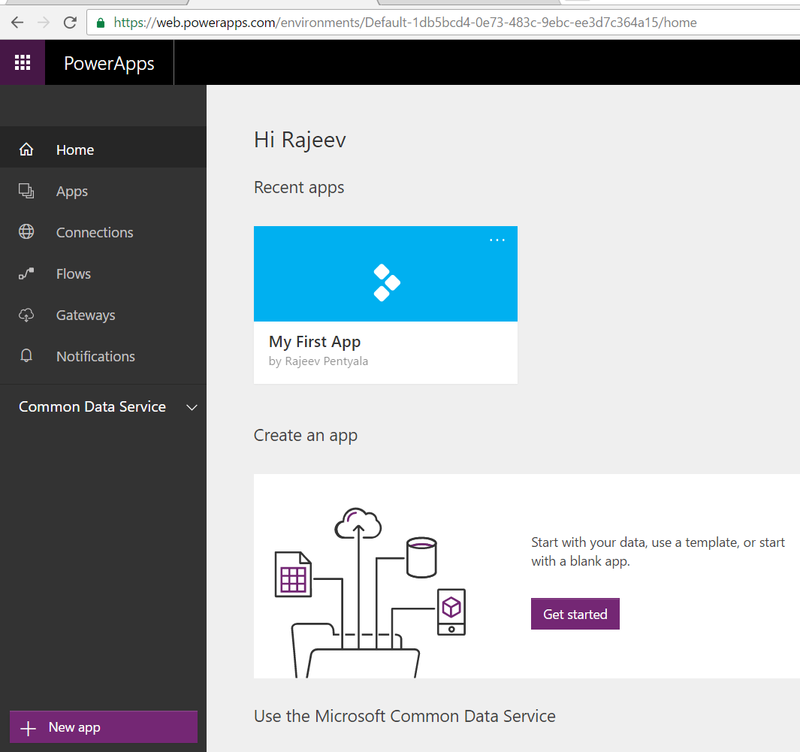 PowerApps is a service for building and using custom business apps that connect to your data and work across the web and mobile. PowerApps enables power users in line of business roles to easily build and deploy business apps – without the time and expense of custom software development. 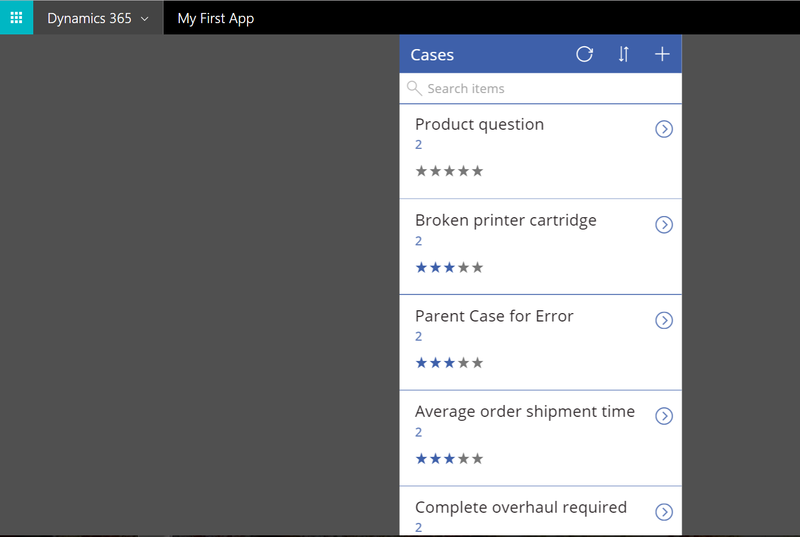 In this article, I am going to create a simple PowerApp which allows me to work with my Case records. It will take to ‘PowerApps’ home screen. 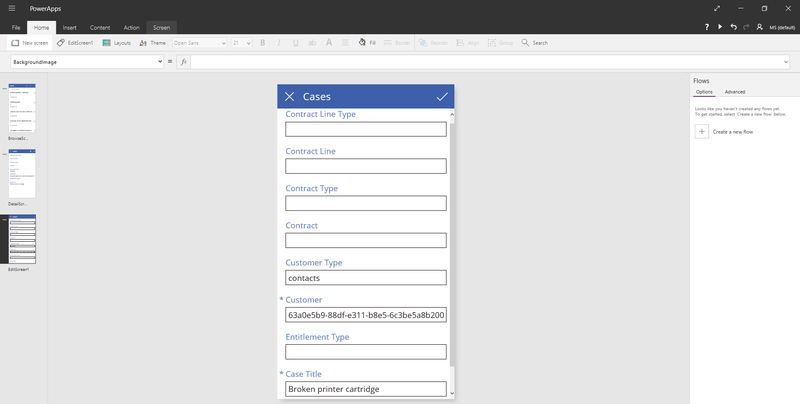 Choose “PowerApps Studio for Web” to design in browser. 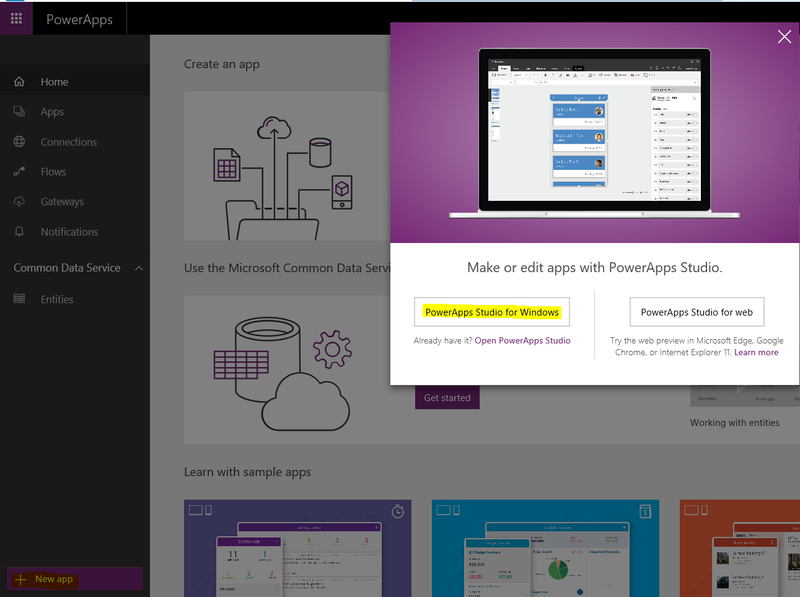 After download, launch the “PowerApps” studio. 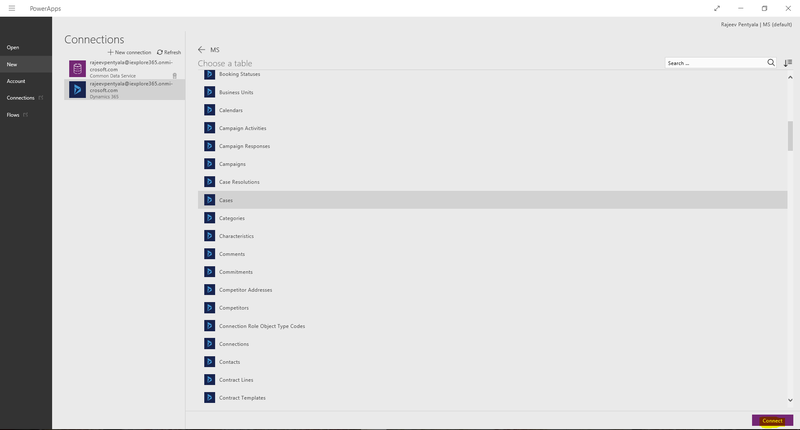 Studio opens up the designer with default screens (i.e.,Browse, Details, Edit) for Case’s records. You can add/remove fields or icons on the screens or create a new screen. 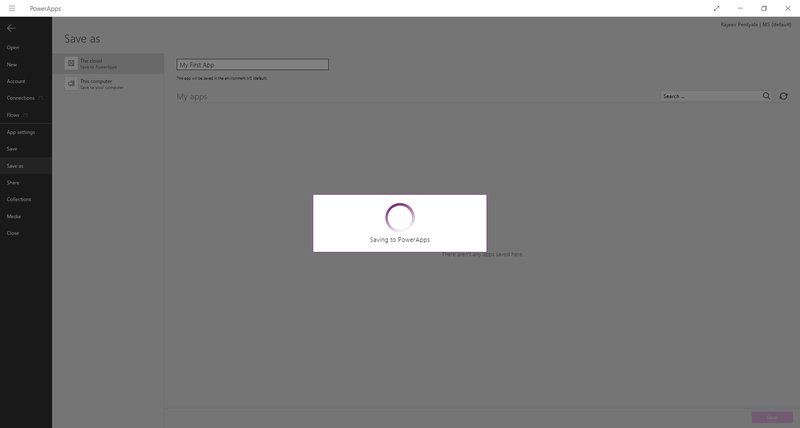 Go to PowerApps home screen and select the App to run. Click the App and it will run and pull the Cases from my Dynamics 365 organization. Also, App can be shared across the Organization or to specific Users.